Today we had the opportunity to visit Lake Tahoe, about an hour away from Reno. It was especially nice as the weather was beautiful. We have been in Reno/Sparks for 11 days and it has rained every day. In contrast, today was beautiful with sunny skies and clouds over the mountains. 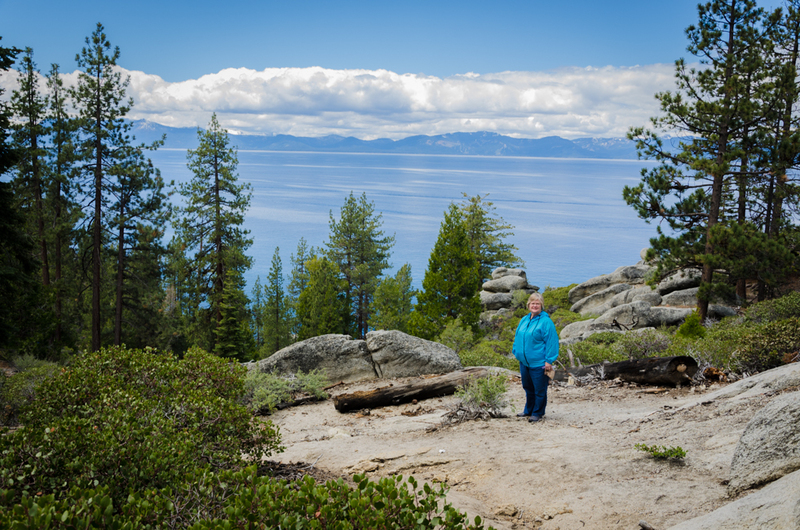 The drive through Carson City to Lake Tahoe was nice, but fairly steep as we drove up the mountain. 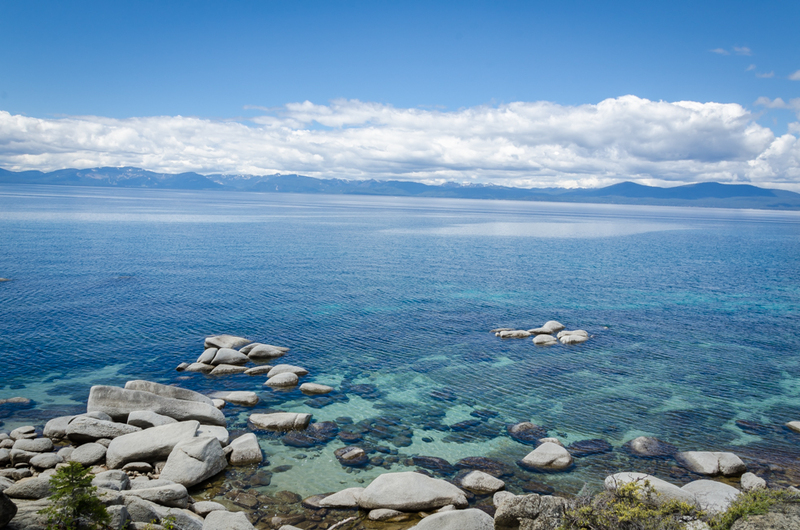 Lake Tahoe is known for being very deep and having a rich blue color. When we drove near the lake, we noted that the water was especially clear and was blue. It was very beautiful. 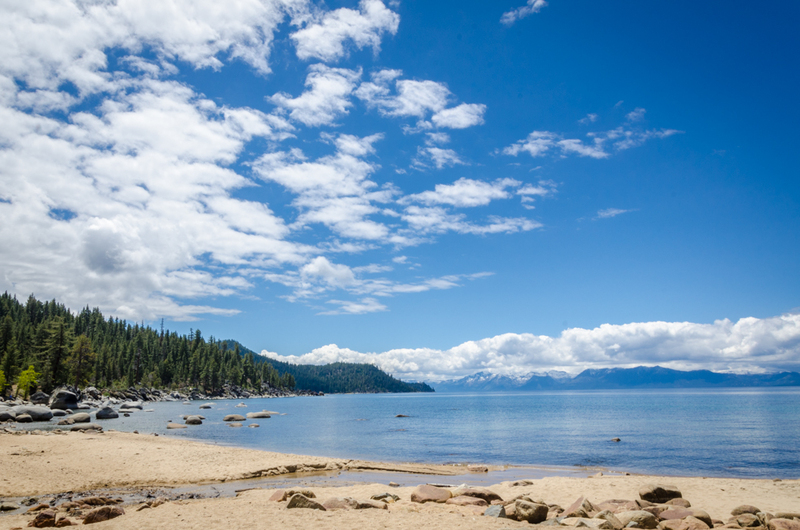 Wikipedia says that Lake Tahoe is the second deepest lake in the U.S., behind Crater Lake in Oregon. We enjoyed a nice hike down to the lake’s edge. As we got closer, it was surprising how clear the water was. Charlene watched three people jump into the water after their friends had their cameras ready to take a photo. They immediately ran back onto the beach!